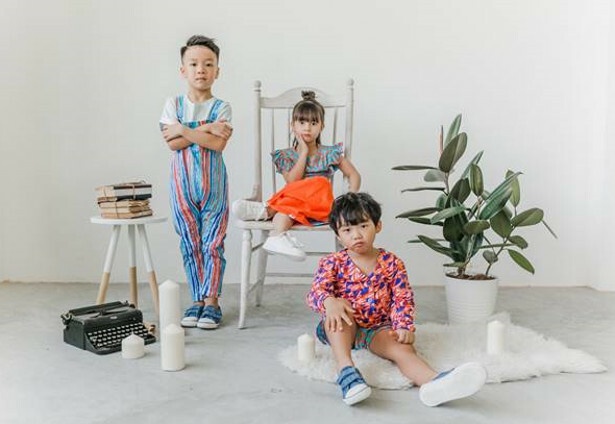 Set your alarms as kids fashion brand Roses & Rhinos are launching drop 1 of their ‘Summer Breeze’ collection this Friday at 8am. It is a limited collection of pieces for children aged 1 – 10 years made on organic cotton; consisting of hoodies, skater skirts, drop crotch trousers, swing dresses and lots more. Prep your kids for the new school year this September with the NEW V-Kids Watch from the V by Vodafone range (www.vodafone.co.uk). The V-Kids Watch is a connected device that’s fun for kids and allows parents to check their child’s location via GPS tracking and exchange voice messages through the TCLMOVE app – so staying connected is easier than ever. For £135 (plus £4 per month service fee), the watch gives parents peace of mind knowing they’re safe and sound at school, or when they’re out and about. The SOS button even lets kids send an alert directly to their parent’s smartphone if they need help, giving parents directions straight to their smartphone through either Google Maps or Apple Maps. Parents can also set ‘Safe Zones’ to be notified if their child leaves a certain area, so they can be assured that they’ve made it to and from school safely, if travelling unaccompanied. Designed with kids in mind, V-Kids is smart, safe and fun to wear, with entertaining features such as a voice changer for lunchtime fun. However, rest assured this won’t be a distraction in the classroom as parents can disable games and messaging for periods in the day. It’s also water resistant, and available in two vibrant colours (blue and pink). V-Kids is a new addition to the V by Vodafone range of connected devices. The range brings together and connects a variety of smart devices for every part of your life – allowing you to track or monitor your pet, car and even your home whilst you’re away – all through an app on your smartphone. Clean, pure and designed specifically for your skin. Our new product range will be for sale this October and we are giving you the first sneak peak into our range. It includes: an antibacterial citrus handwash, face wash for oily skin, face moisturiser for oily skin (SPF 15), calming face scrub, 2-in1 shampoo and conditioner, hair fudge and leave-in conditioner treatment. As tweens and teens, you don’t have the same needs as your parents. You have our own thoughts and opinions. You care about your bodies, know your own minds and we know you want to make decisions for yourselves. You are unique and your personal care products should be too. That’s why we created umi! umi! 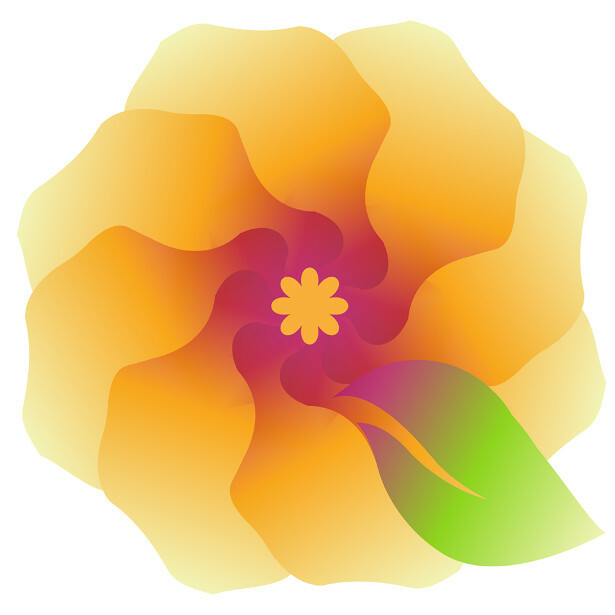 was born to create clean, green and innovative personal care solutions. We have created products where every ingredient has a purpose. We don’t use nasty chemicals such as parabens or sulphates and our products are certified by Safe Cosmetics Australia and are formulated specifically for your skin. Our secret weapon is the antibacterial power of totarol extract – nature’s antioxidant, which is three times stronger than Vitamin E! Our plastic bottles are carbon neutral and where it is possible our packaging is made from recycled materials. Just like you, we want to make a difference without leaving a big footprint on our environment. We don’t believe in gender stereotypes or defining normal. We celebrate diversity, differences and tolerance. Let’s be clear: to be truly good, products must be 100% good for our bodies and our world. We say yes to natural ingredients, yes to products created for your skin, no to harsh chemicals and no to waste. umi! is clean for your skin and clean for our planet. You are umi! We are umi! Whether watching a college game from hard wooden bleachers or listening to a teacher from a cramped plastic chair, Purple’s Simply Cushion makes going back to school that much more bearable. Dedicated to making life more comfortable through science, Purple invented Hyper-Elastic Polymer™ to change the way people sit and sleep. Purple’s Simply Cushion is especially great for dorm rooms, cafeteria benches and uncomfortable bus seats, making it perfect for students! Peace Frogs is more than just a brand, they are a community and a movement to get outside, enjoying nature, preserving the environment and giving back. And Peace Frogs is not jumping on they “feel good” bandwagon. They have been around for over 30 years with a long track record of giving back to charitable causes, the environment and their community, while creating eco-friendly clothing, t-shirts and gear to make people smile, inspire and show their peaceful, froggie love. They have environmental friendly and adventure gear for all ages, loungewear,hats,totes and nylon backpacks, as well as cool gear like jewelry,temporary tattoos and puzzles and playing cards and so much more! And with Back to School coming up, they are a great addition to the back to school wardrobe of your teenager or college student who loves the outdoors, has a little retro vibe, embraces positive messaging or just giving back. And just in time for Back to School, Peace Frogs has launched their #spreadthepeace campaign! Peace Frogs is also targeting a new generation of peace makers. Founded on the principles of love, peace and freedom, Peace Frogs also encourages all to live to the fullest, enjoy the planet we live on and give back, even in any way possible. Peace Frogs is available online, in their Peace Frogs stores or in a specialty retailer near you. BOOK! Jacqueline Pirtle, 365 Days of Happiness. 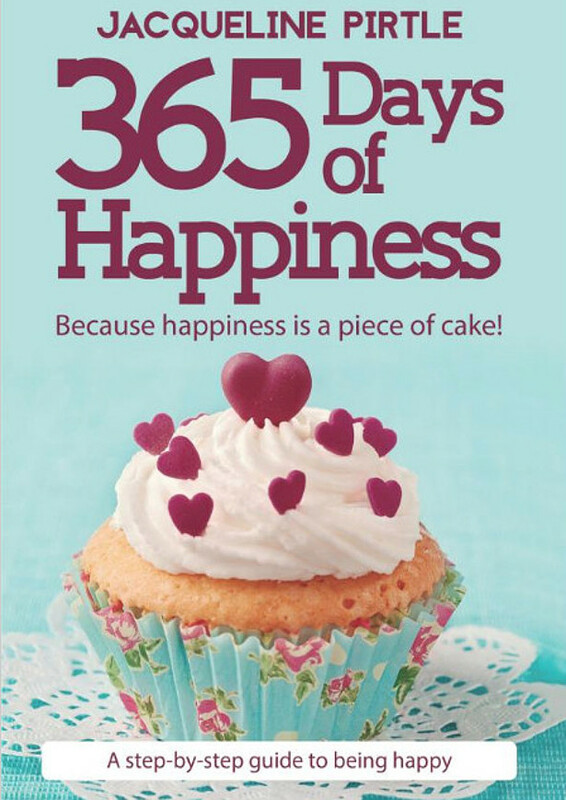 Because Happiness is a Piece of Cake ! Do you have fun with your own life? How often do you really pay attention and choose things to improve your day? 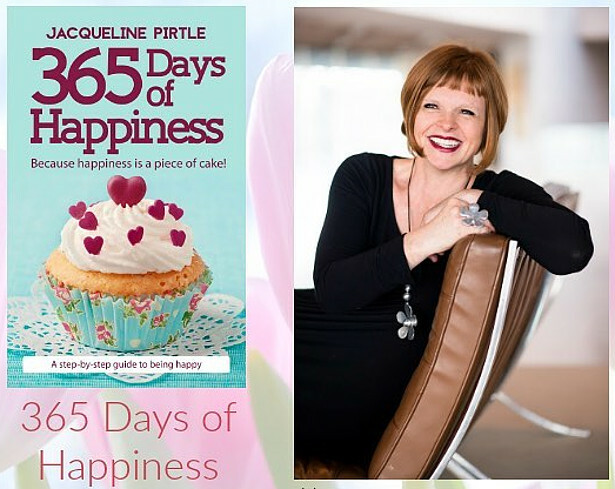 In 365 Days of Happiness, author, energy healer, and mindfulness teacher Jacqueline Pirtle has created daily inspirations that help you mindfully work towards living a more vivid experience of daily happiness. Showing that you can put in work to change your life while having fun, the practices are full of whimsy and delight. 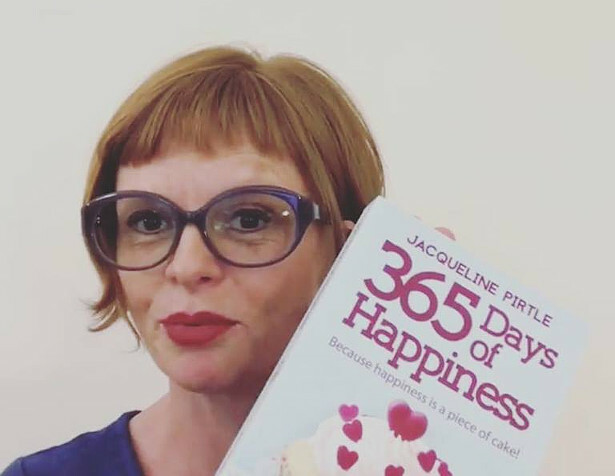 Jacqueline decided to spend every day of 2017 devoted to her own happiness. 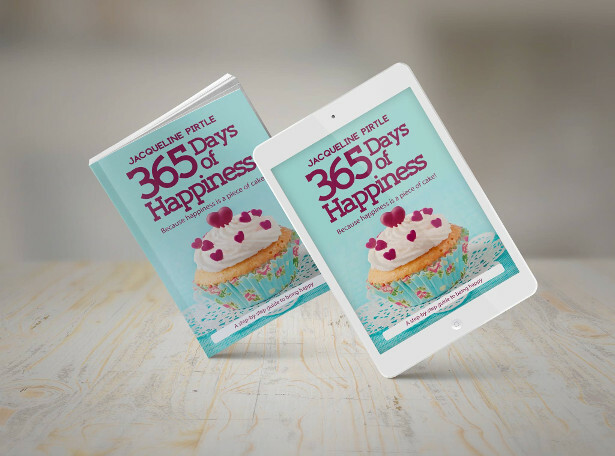 She wrote every single day about the things she does to honor her joy, and used these writings to create this 365 day step-by-step guide, so she could teach you how to shift to BE and live in a “high for life” frequency of happiness too—no matter where you are at in your life right now. She started writing these for herself, but has a little sneaky intent to touch your heart every day and initiate new learning, understanding, knowledge, and wisdom for you to get closer to your true, authentic happy self. Through light, bubbly, cheerful passages, each day teaches you to find happiness, use those sour lemons, and shift yourself into a “high for life” frequency where you can reach happiness anywhere at any time. 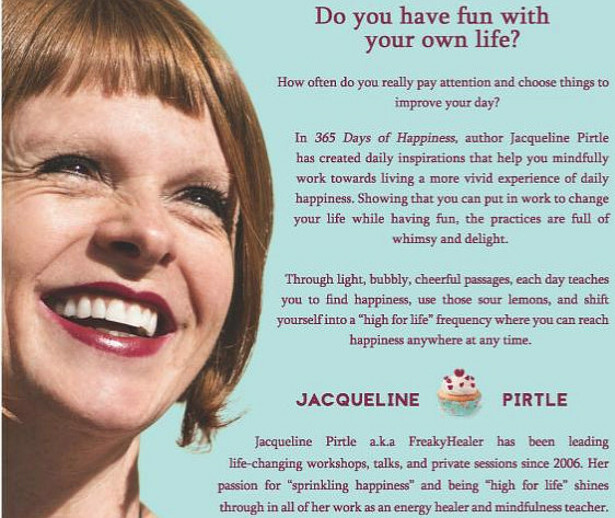 Jacqueline Pirtle a.k.a FreakyHealer has been leading life-changing workshops, talks, and private sessions since 2006. 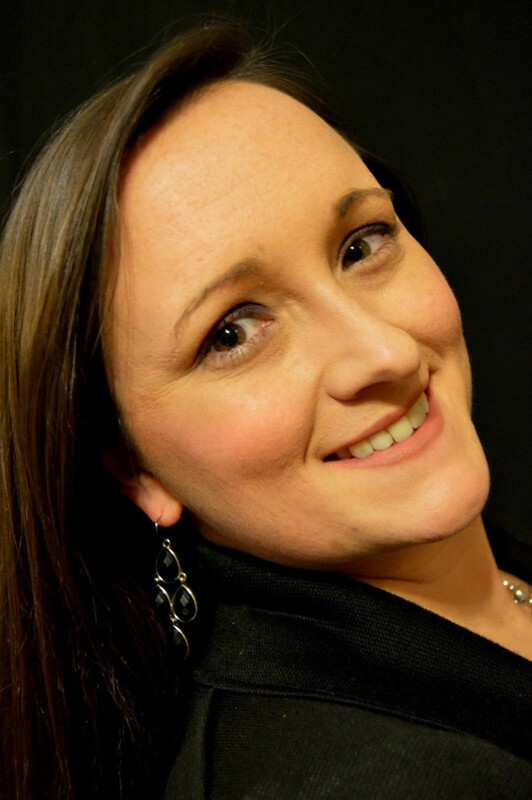 Her passion for “sprinkling happiness” and being “high for life” shines through in all of her work as an energy healer, mindfulness and happiness coach. She was born in Switzerland, but has lived everywhere. She now makes her home in the United States with her wonderful husband, amazing kids, and sweet cats, and can often be found having a little chat with a falling leaf, or indulging in a cupcake at her favorite bakery. A maid service can be a lifesaver for university students! Services like The Maids offer both move out and move in cleanings, so you can be sure to get your security deposit back! Since 1979, The Maids has consistently ranked high among top-rated cleaning services, which is why clients continuously refer to The Maids as friends and family. Their job is to make houses sparkle, and it’s one that they take very seriously. House and apartment cleaning doesn’t need to be a chore, nor does hiring a cleaning service need to be a luxury! And with Back to School upon us, why not get your high schoolers or college students something they need to get to class on time AND something they REALLY want! 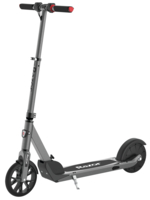 The NEW E PRIME, is Razor’s Lux Electric Scooter designed for older kids and adults for easy short commuting, as well as some great outdoor fun with the family…because let’s face it…mom & dad want to have fun, too! Designed to impress at the office or around the neighborhood, the Razor® E Prime™ combines sleek style with electric efficiency to bring a new level of sophistication to every ride. Invented by a mom, American Small Business Champion Winner, named 2018 Product of the year by Babymaternity Magazine! it can be when drying your children off after a bath or pool time. One kid wants two towels, the other runs off in a birthday suit without one!! 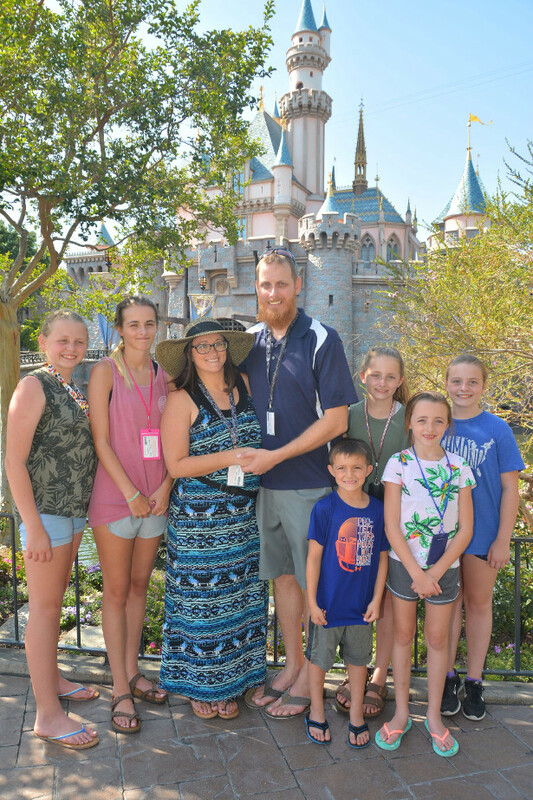 I have 6 kids, and they were the inspiration behind My product. 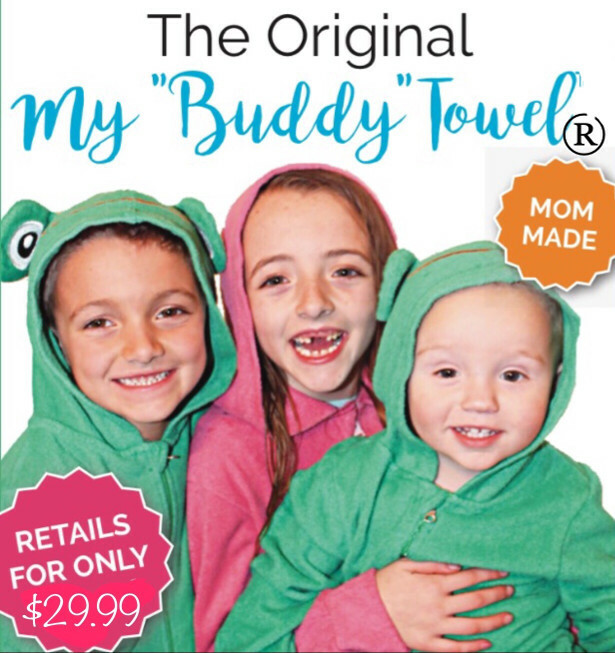 The patent pending My” Buddy” Towel®! It’s the only towel and onesie in one on the market! no more battling to keep the bath towel from falling off. Applying to College? Dreading the college application essay? At Write Your Acceptance, we guide students to craft their most compelling proclamation of self. We help them harness who they are and who they are becoming and share that convincing story in their college essays. 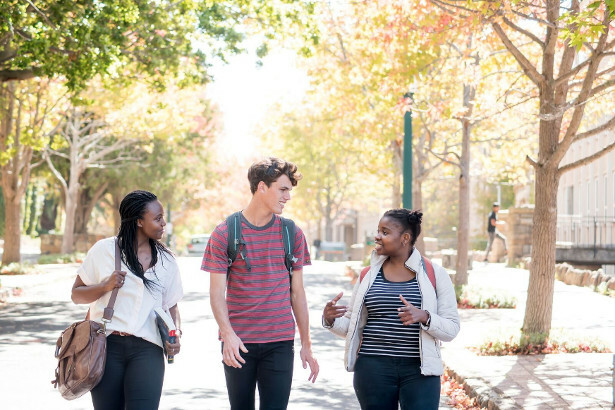 Through our work together, students significantly enhance their college application, maximizing their chances of acceptance into the college of their choice. Throughout the process students learn critical thinking strategies that TRANSFORM their personal statement and writing supplements from just telling a pretty story to a nuanced, thought provoking text. Course 1 – HOW TO WRITE YOUR COLLEGE ESSAY. Dr. Josie breaks it down so it’s easy to digest and you can take it one step at a time. Nudge your Inspiration Muse, asking the right questions to Brainstorm and Structure Your Essay. Then, we’ll work to unlock KEY themes to Deepen Your Critical Capacity with the Inside Scoop on Analysis. <— This is what MOST students MISS!!! Follow this process to stand out from other college applicants and be remembered! Follow these simple steps to understand how to capture who you are and why you are so unique. We’ll walk through the Critical and Creative Elements needed to write stunning activity and identity supplements, and with the WHY US template, learn how to recycle pieces of content for each college submission! ***Students can go through the courses at their own pace and enjoy exclusive membership to our WYA group, which provides dynamic, real time support …students meet with Dr. Josie live every week. 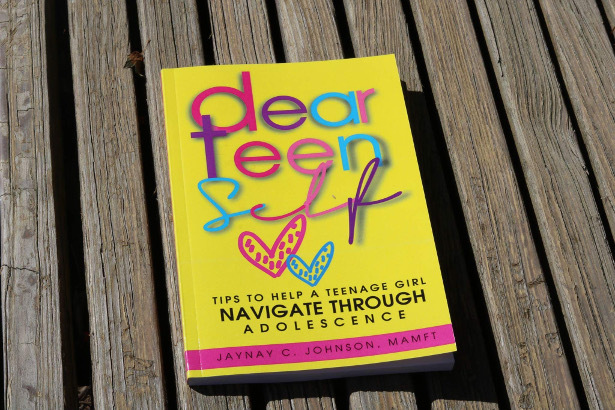 Dear Teen Self is an interactive book for teenage girls to explore stories while identifying ways to avoid those situations, assist with coping in a healthy manner and learning what has prompted them to make certain decisions. The author candidly discusses scenarios that she experienced as a teenager while exploring the reasons she felt compelled to make certain choices. This book comes with 30 journal pages, a word bank and multiple activities that accompany the tips written. This book covers topics such as, teen depression, various types of abuse, friendship issues, and much more that can be difficult for a teenage girl to deal with. Along with these components, Dear Teen Self also has motivational content to inspire teenage girls to continue being positive. Week of August 27th to the 31st – As kids head back to school this week, rain will continue to hit areas of the East while severe weather hits the upper Midwest. 1. The Upper Midwest will see several rounds of severe storms, especially early in the week. Minneapolis to Kansas City will be in the zone of potential severe weather which will include large hail and damaging winds. Right now the risk of tornadoes will remain low. 2. A corridor of rain will develop from the Ohio Valley into the mid-Atlantic. We are not expecting flooding rains at this time, just rounds of rains to add on to the already soggy conditions. 3. The South will remain warm and humid with scattered showers and thunderstorms during the afternoon. This is not uncommon weather for late summer. 4. Scattered storms during the afternoon and evenings will hit areas of the Rockies into the Northern Plains. Some of the storms will be severe and this will be a daily event for them next week. 5. No relief from the heat coming for the West or Texas as temperatures rise each day into the 90s and low 100s. September into October- Tropics will begin to become active during this time and could impact the U.S. coasts. Heat continues while the cool down starts across the Northeast. 1. Tropical season will heat up again after a quiet summer. Early in September a tropical threat could exists for the U.S. East coast and parts of the Texas coast. As mentioned in previous outlooks, the development zones for tropical systems will be in the Bahamas and the Gulf of Mexico. We remain concerned that a tropical system comes up along the East coast with a worst case scenario of a tropical system hitting areas already hit by flooding in the Appalachians and Mid-Atlantic. 2. A cool down will begin in September across parts of the Great Lakes and Northeast. The kids may have to get the jackets out as they head to school. 3. A zone of showers and thunderstorms will occur from the Rockies into the Northern Plains. Some of the storms will be heavy to severe during this time. 4. The heat continues for the West and will expand across the Plains as temperatures head into the 90s and low 100s. A cool Atlantic air mass will be in place with near to slightly below normal temperatures throughout the United Kingdom. You’ll need to keep your sweat shirt handy along with an umbrella as a series of low pressure systems pass to the north of Scotland through the week. A drier weather pattern will start to take shape with high pressure building north from Celtic Sea. Temperatures will be near normal over Wales and England while Scotland remains cool with slightly below normal temperatures. You’ll need some sunglasses on the south shores of England while a sweat shirt and umbrella is still needed in Scotland. A cool weather pattern will be in place for the start of Fall with below normal temperatures for Scotland, Northern Ireland, and northern England. However, the rest of England and Wales will feature near to slightly above normal temperatures. You won’t need an umbrella much for the start of Fall with below normal rainfall expected. Very dry weather conditions are expected. 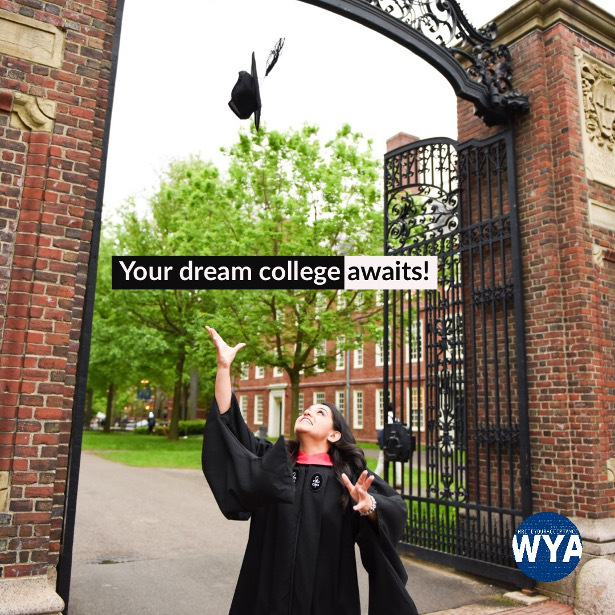 Yes, starting college admission planning before you even enter high school can make your high schools years less bumpy as well as making the application process less painful. The number one reason for this is that you as the applicant have to be your own best advisor. This means finding out early what are the academic and athletic requirements you will need to fulfill for the colleges to which you are likely to apply. You cannot depend on your high school to tell you this information – your high school will tell you what is required by the school for you to graduate. I found this out the hard way with my two daughters and then subsequently working with other teens applying to college. 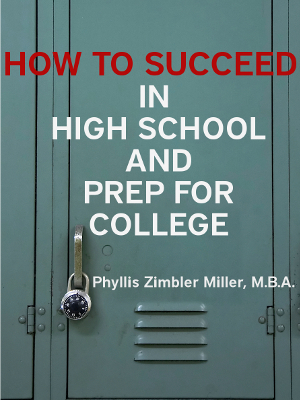 I wrote the book HOW TO SUCCEED IN HIGH SCHOOL AND PREP FOR COLLEGE to save others from the obstacles that my daughters unnecessarily experienced. First, start a resume-as-you-go now. That’s right, start a resume now even if you don’t need one to apply for a job or an internship. You want to keep all the relevant information in one place as you add activities throughout your high school years. Three years from now you may not remember that you made the winning goal in a championship game. If you put that on your resume-as-you-go now, you’ll have it at hand for when you need it. A college may be interested in you for the sport you play even if you are not a widely recruited high school athletic star. And your own high school coach may be able to recommend you to the college coach. The more research and preparation you put into your college application process at an early date, the more likely it is that you can avoid some of the major hassles that will be experienced by your classmates who have not prepared as well as you have. 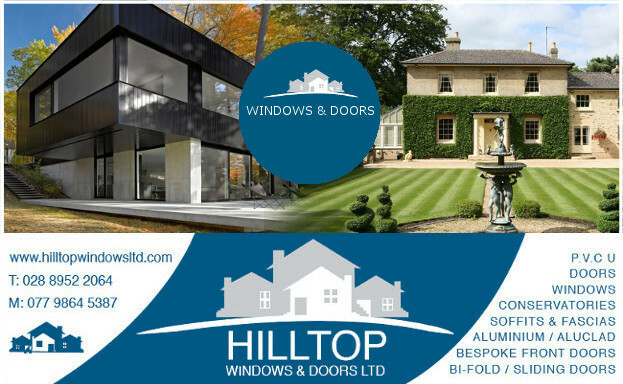 Create conducive surroundings and enable yourself to earn an excellent education. That’s what this book is about… becoming your own best version of yourself. Be who you truly can be. This book aims to help you how. Make scholastic achievement a consistently repeatable priority in school… and in life. It provides tips and tricks to bring home straight-A report cards so the college scholarships can roll right in. Build a happy place study space today. It’s like a man-cave… but for students. 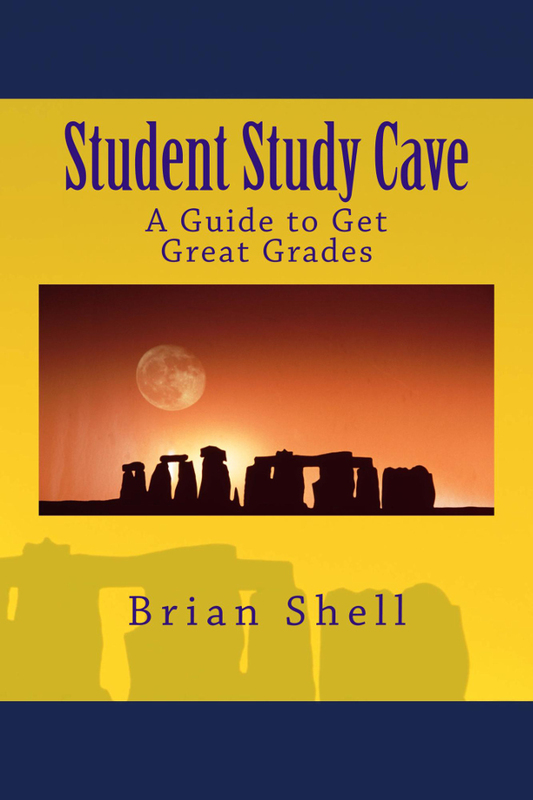 Its author, Brian Shell, was a former high school valedictorian and a straight-A college engineering student. It’s his hope that this book teaches you to enjoy to learn how to learn… so each day you become a little bit better than before. Sydney Back to School bundle offer. 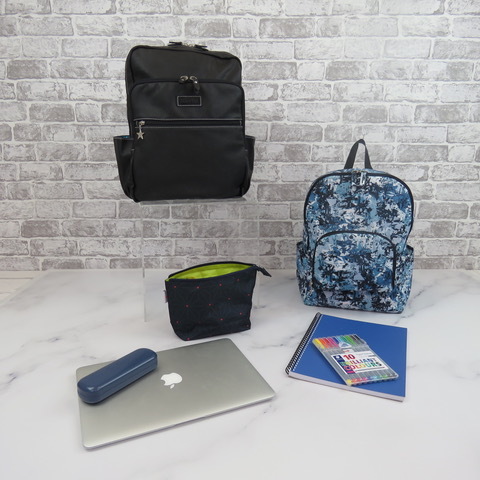 Buy the Sydney Backpack, and we will give you the Oxford Folding backpack great for a PE bag, and a Beau small organiser, which makes a perfect pencil case. The Oxford folding backpack makes an ideal PE kit bag whilst the Beau is perfect as a pencil case. Duck Tape® Colours is a collection of fantastic adhesive tapes, which can help you to create and personalise all your books and bags in time to go Back to School. The range gives you a great selection of bright patterns and colours that can be used to create and decorate anything, from schoolbooks to scooters, purses to pencil cases. A general purpose cloth tape, Duck Tape is made from a durable polyethylene film combined with cotton, with a high tack natural rubber adhesive. Though tough and strong, it’s also easy to tear, so is safe for adults and children alike. 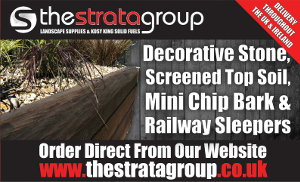 Each roll is 48mm wide and 9.1 metres long and there are also mini tapes in the range called Ducklings! – perfect for edging and more delicate designs. 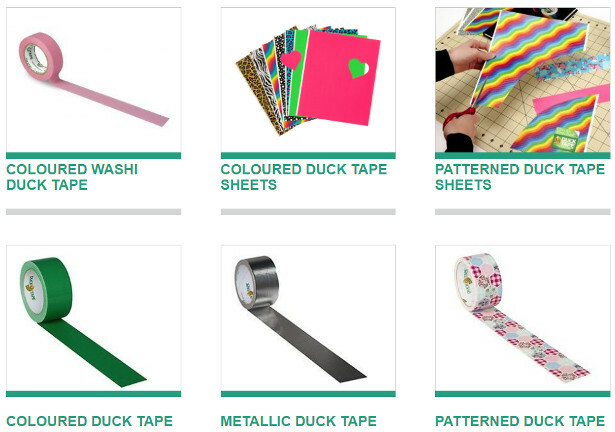 As well as rolls, Duck Tape comes in sheets, which are specifically designed to make drawing, cutting and applying different shapes even easier, with a grid pattern on the reverse. If you are feeling creative you could make your own personalised binder or tablet cover – if a little less adventurous, simply cover your schoolbooks and make them stand out from the crowd! The range includes whole host of colours and patterns – even glitter – so that you can make your belongings truly bespoke. With a strong quality and a waterproof finish, the tape can protect as well as decorate, organise and enhance. It’s a great piece of kit to have as you go back to school and we have teamed up with Duck Tape to offer one winner a bundle of six rolls. For more ideas on what you can create with Duck Tape, look at their Ducktivities page here, or see what they are up to on Twitter, Pinterest and Facebook. 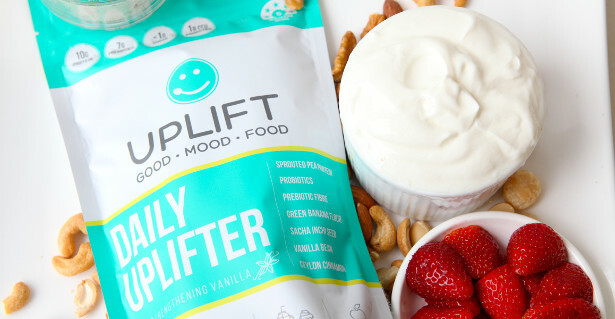 Uplift Foods brand new expert dietitian created “Daily Uplifter” is an organic plant based vanilla flavoured gut health powder; Free of artificial ingredients, added sugars, and common allergens, including dairy, gluten, soy and nuts. The Daily Uplifter provides significant levels of beneficial digestive and mood supportive nutrients, focused particularly on PRE-biotics as the fuel for PRO-biotics. Speciality ingredients include organic jerusalem artichoke prebiotic soluble fibres, organic green banana flour prebiotic resistant starch, organic high vitamin D mushrooms, and good mood specific probiotics. An easy addition into your breakfast smoothie, sprinkled over your cereal, weaved into protein pancakes, or blended into your favourite healthy snacks, the Daily Uplifter can fit into an abundance of speciality diets, including keto, vegan, low sugar, and more. As the prebiotic natural supplement of choice selected by a number of Australian elite level cricket and football clubs to help players hit their peak performance, the Daily Uplifter will no doubt, leave you feeling uplifted! day jitters, it’s always exciting getting all of your brand-new gear gathered up ahead of the big day. 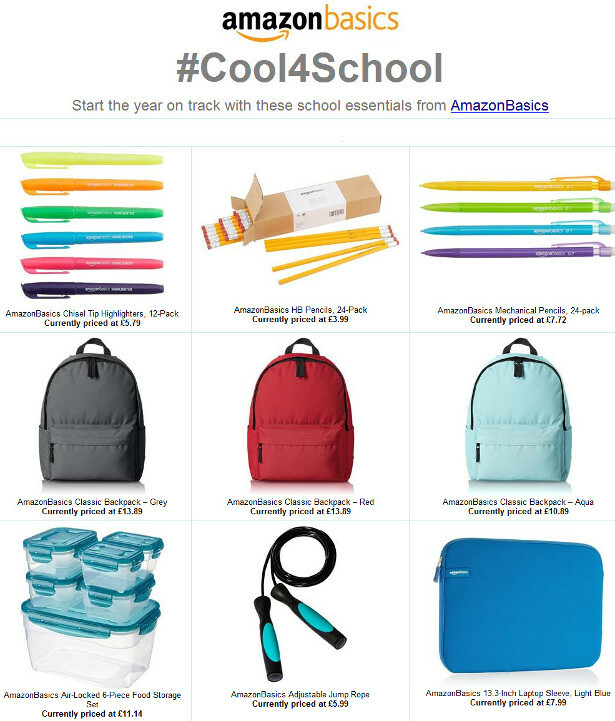 Check out these ideas, ideal to get the school year started off correctly. Wellington Boots! There’s three designs available featuring rainbows, clouds and even narwhals! naturally nutritious and blended with superfoods with no added sugars, colours or preservatives. 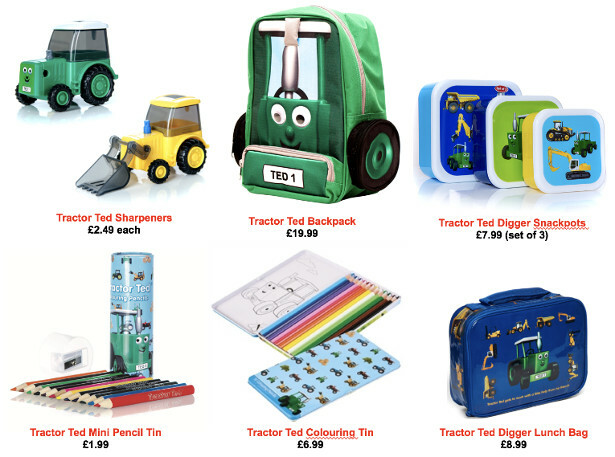 Everyone’s favourite little green tractor, Tractor Ted, has back to school or nursery covered with the perfect kit for little farm fans. Cool Kid’s School Gear Ready! Ride into the new school year, with memories of bus journeys and spotting Londons famous Landmarks. 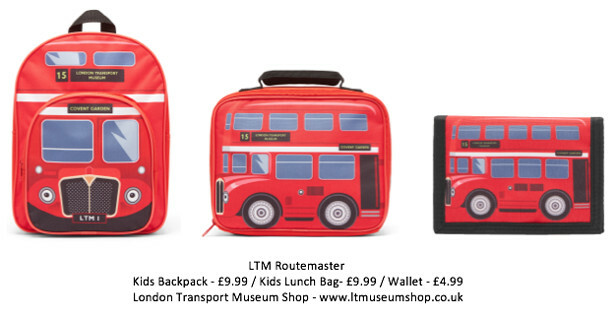 From Tower Of London to Covent Garden, the London Transport Museum Shop’s back to school gear will have your little ones ready to tell their summer stories, all year long. Be ready for an Indian summer with the lightweight best-selling Puddle Pac-a-Mac jackets that are super compact when folded into their own pocket – making it easy to store in a rucksack. The planet friendly EcoSplash Fleece Lined Jacket made exclusively from recycled plastic bottles includes an extra soft Sherpa lining in the hood – ensuring additional warmth and snugness on those winter walks to school. New for AW18 is the super waterproof Explorer Parka in navy or red – a versatile and smart jacket for school or weekend. For the wettest of rainy school days, the Puddleflex jacket with fleece lining will keep little ones dry and extra warm. And a new school year means new school bag! The Muddy Puddles rucksacks are made from tough waterproof fabric and zips, extra padded straps, a handy carrier for water bottles and reflective zips, logo and piping to ensure kids are visible on those dark afternoons. 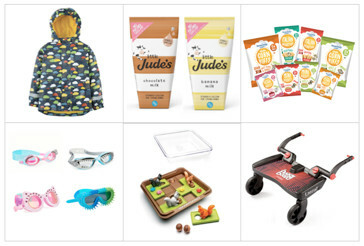 August is like the Sunday scaries of Summer when millions of parents are on the hunt for the latest gadgets, books clothes to get their kids ready to head back to school – not to mention prepping for team sports, PTA events and booster clubs. Parents spent an average of $510 on back to school shopping alone this season, according to a 2018 survey by Deloitte. Enter Zelle, the P2P app that’s probably already in your banking app. 85% of people have reported not being paid back after covering a shared expense, with 18% saying this happens “all the time – don’t let this be you when it comes time to put the team uniforms on your credit card! After covering a shared expense, 29% of people said that they request money within minutes of paying. With Zelle, you can request money instantly, eliminating time-consuming and often awkward tasks like tracking down cash or checks from other parents and trying to figure out who under (or over!) paid for school uniforms, field trips, etc. 64% of people indicated that when someone owes them money, they want to be paid back immediately. When you request (or send) money for shared expenses, as long as both parties are enrolled in Zelle, the money will be transferred between accounts in just minutes. Plus, unlike other P2P services who share transaction data publicly by default, leave money sitting in a third-party app or even charge fees to send money, Zelle is free, fast, and entirely private to keep parents and their families safe. 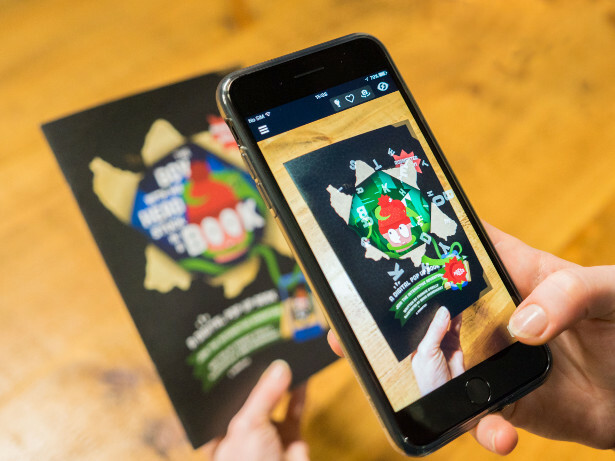 An augmented reality book for children aged 7-11, written by a primary English teacher who noticed that disengaged students were more inclined to pick up a book with a technological element, bridging literature and digital media. At only £5.99, this product is an affordable way of keeping children engaged with education in an interactive way over the Summer break. Do you sometimes wonder if the lunch and the afternoon snacks in your kids lunch box are the best and healthiest option? Anyone, including schools, might turn to the pre-packaged option when time is tight, and those are frequently full of sugar and unhealthy fats. The secret to packing a healthy, nutritious and simple lunch box is to make sure you are using real, fresh food not pre-packaged snacks and allowing an extra 10 – 15 minutes in the kitchen to prepare the lunch box. The most natural, nutritious, and quick alternative for a snack is always a handful of seasonal fruits mixed with a handful of nuts* such as almonds, walnuts, and hazelnuts to fuel your child’s day. The fresher the fruits and nuts, the better and try to avoid pre-roasted, salted or seasoned nuts as these have hidden and unhealthy additives. Sliced fruit is one of the most fun ways to serve fruit because you can make your own creations out of it! Try arranging fruits and nuts to make shapes or faces, or you can even turn the nuts or seeds into a paste, like tahini. Grated coconut is always a fun ingredient and adds that element of yum to any banana or apple. Sandwiches are a classic lunch box addition. Not only are they quick and easy to make but with the right ingredients they can be nutritious and healthy too. The way to a healthy and delicious sandwich starts with the bread. If you’re not making your own, we suggest you buy your bread from the bakery and make sure you’re picking a loaf made from whole grain flour that has gone through a slow fermentation process. 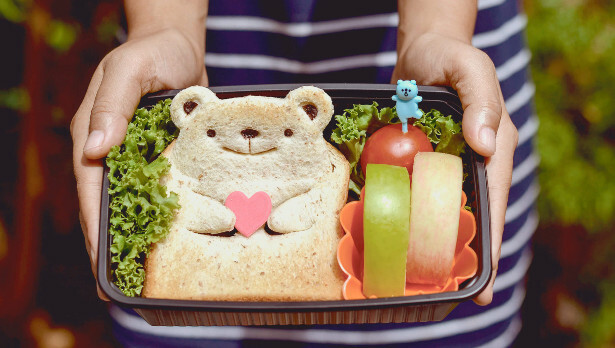 With a little bit of imagination, you’ll be able to come up with lots of personalised sandwich designs for your kids and with a little added time and effort, you can prepare some cool lunch boxes. • If you use flour, make it whole grain. • If you want to sweeten things up, use natural ingredients like fresh or dried fruit (dates, dried apricots, raisins), cinnamon, vanilla, carob, or honey. • Organic, unprocessed food are always better than pre-packaged or processed options. 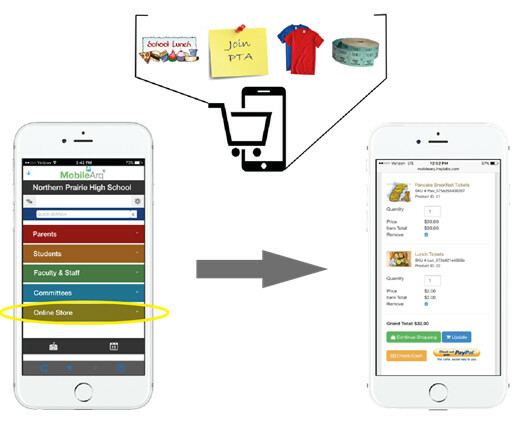 MobileArq is an easy-to-use communication tool for the parent organization in schools or for sports teams with a need for directory services and/or fundraising. Adoption of MobileArq has yielded over 1ten-fold savings in volunteer time with increased revenues for the parent organizations in schools. The availability of a mobile directory has provided invaluable convenience for the parents, enabling them to access contact information of other parents or teachers/administrators anywhere and anytime. The MobileArq directory app has enhanced communication and interaction between parents and contributes significantly towards building a better-connected and better funded school community. 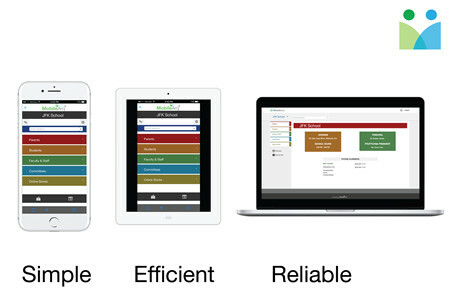 MobileArq is ‘your school at your fingertips’, available on all platforms, from mobile phones to desktops. It’s time to tighten your robes and venture back into the Jedi training, little lads. Start your September school term by joining the troops and experiencing the force. Prep up with the most wanted Star Wars supplies that you have been dying to get your hands on. 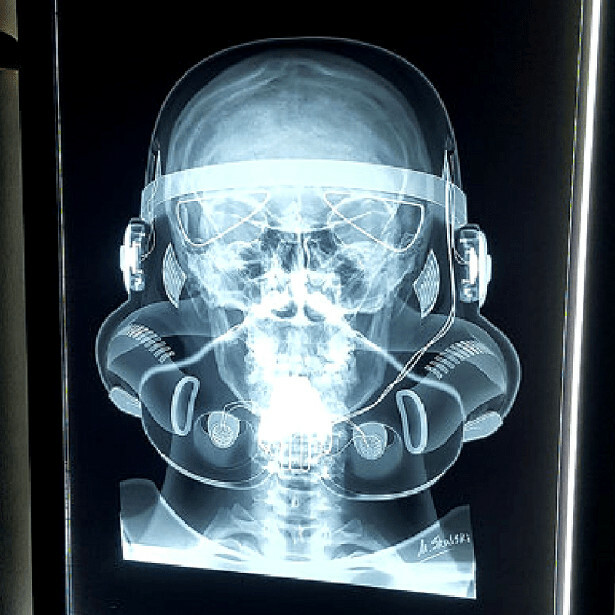 Surprise your friends at school by flaunting this crafty Stormtrooper X-ray film card. It looks as real as it gets and will leave everyone amazed. The BB8 Droid participated with Poe Dameron in countless battles to fight for the resistance. You, too, can bring along the BB8 Inflatable pool toy to a school picnic and express your love before your school friends. This beautiful pool toy will keep you afloat just like how Master Yoda’s wisdom prevents the good guys from drowning into the sea of evil. Why join the “Dark Side” by studying in the dark? Get the Star Wars lightsaber lamp and illuminate your room to study. It’s time to join the stormtroopers and become a part of the Star Wars Galaxy. This 3D lamp – depicting the helmet of a stormtrooper – toggles between 7 colors. The Force only respects soldiers who respect time. The Storm Trooper wrap watch is an emblem that will fill you up with imperial strength and make you ready for your class just in time. When the madness of Star Wars saga is not enough, add some lunacy of the great Joker. This Rebel leather backpack is durable and offer enough space for not just your books and stationery but some Star Wars goodies as well. This Darth Vader Mug sure reflects all sorts of evil but that shouldn’t stop you from drinking milk in this piece of beauty. Make sure to gulp down a mug of milk everyday before leaving for school to awaken the force. These amazing Star Wars goodies are an excellent treat to enjoy school with. The future really is female and high-tech apparel brand, Modibodi is advocating this, with the launch of its new Modibodi Teen range. A stylish range of underwear & swimwear especially designed for teenagers and young girls aged 8 plus, to help them manage their periods, perspiration and leaks in a fully comfortable and fully sustainable way. The fashionable range of knickers are super thin (only 3mm), super comfy and amazingly absorbent (can hold between 1-2 tampons worth dependent on pair) and what’s more they can be worn all day, with no smell or leaks in sight! 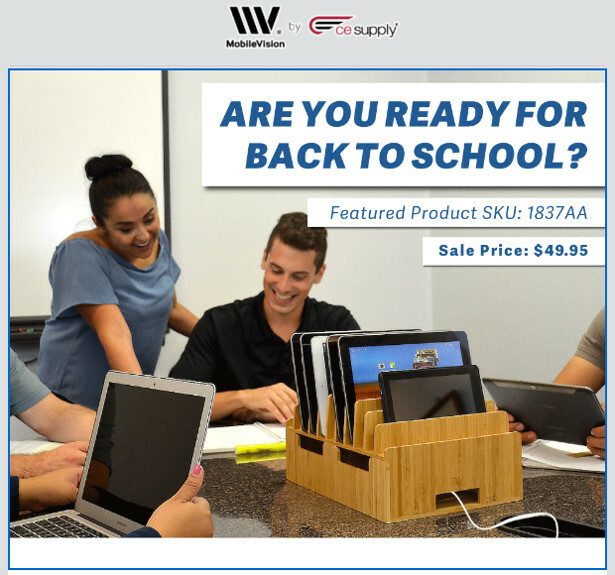 Perfect for back to school. Modibodi recognises that the idea of carrying and changing sanitary products is not the easiest for young girls, particularly those who experience periods earlier and feel self-conscious about wearing and carrying pads around with them and are concerned about the risk of leaks, Using eco-friendly materials and innovative patented technology exclusive to Modibodi , Modibodi takes care of these dramas .By being 100% period, pee and perspiration proof, the fully absorbent underwear can be worn all day. 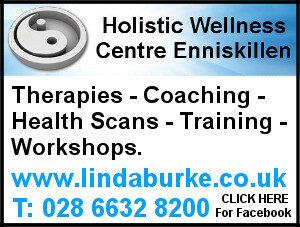 The ideal solution for young girls who are starting their periods, during school, for sports and everything in between. The range features fashionable styles including Classic Bikini, in light-to-moderate and heavy flow, ideal for irregular flows and night-time confidence and Boyshorts in light -to -moderate, perfect for the school day, under sports and school uniforms. The clever, sustainable and innovative undies brand is leading the way in creating change to the way young girls do their periods, all whilst being reusable, helping them to eliminate waste caused by sanitary products. The future really is female and Modibodi want to ensure the future generation are introduced to a new way to manage periods, in a conformable, logical and environmentally friendly way. Founder and CEO Kristy Chong has spent many years working with top lingerie designers to create her special and patented technologies, meaning that the underwear really does work. Featuring a three-layer moisture wicking fully absorbent material, which is super thin to feel and look like regular everyday knickers. 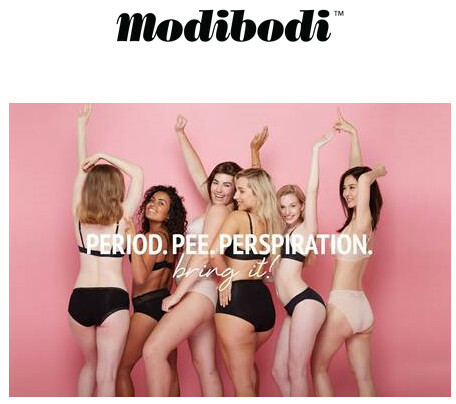 Modibodi is passionate about bringing its underwear to a younger market, as they key to ensuring that young girls help the environment, feel confident and have total freedom whilst navigating their periods. Modibodi™ Teen can be purchased at www.modibodi.co.uk starting at £15. Kid-friendly snacks perfect for back to school season. · Unroll the fun with Welch’s Fruit Rolls! Featuring fruit as its first ingredient, the Fruit Rolls are gluten free, preservative free and available in three mouthwatering flavors – Berry, Tropical and White Grape Strawberry. · Welch’s Fruit Snacks are available in a variety of delicious flavors, think Mixed Fruit, Berries n’ Cherries, Fruit Punch and more, as well as a range of package options ideal for an easy lunchbox snack, or a quick after school treat. · Go Organically Fruit Snacks are USDA-certified organic, made with real fruit, GMO-free, gluten-free and preservative-free. Even better, these tasty and smart snacks are only 70 calories for each individual pack. Resilience is one of the best qualities you can have – it helps you face and recover well from pressure, difficulties and crises and leads to confidence, enthusiasm and high performance. Resilient people know that setbacks, even serious ones, are part of life, and can be overcome. They don’t have a victim mindset – instead they know they can take charge of their own situation. Recognising they have good options to choose from when facing difficulties increases their confidence and self-worth, so resilient people thrive under pressure and emerge from difficult times stronger than before, establishing a positive and self-perpetuating cycle and feeling mentally tough. In contrast, people who are not very resilient think setbacks mean they lack personal qualities and ability. They feel vulnerable, and fearful of pressure. They avoid challenges and restrict opportunities to build confidence and self-esteem. This results in a self-fulfilling negative view – “I can’t manage that very well so I won’t try…I couldn’t even try that so that means I can’t manage…”. Imagine a person wanting to learn to ride a bicycle, but their fear of falling stops them from pedalling – they’ll never learn. It’s essential to try, accepting that it might be difficult at first and an occasional fall is likely, in order to build skills and confidence. You can build resilience and reach the peak of your mental fitness by learning skills to develop a resilient mindset, so you thrive under pressure, maximise performance and feel confident. Resilience provides you with an effective psychological buffer that helps to protect you from unexpected setbacks, serious life events, ongoing stress, pressure and burnout. 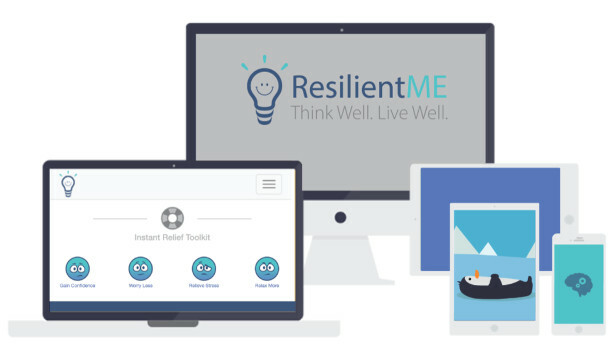 Try out the app ResilientME for free at www.dr-rose.com and build your own resilience to reach your peak mental fitness. CozyPhones groundbreaking design provides hours of listening enjoyment for children at home or on the go. No more struggling with ill-fitting (or lost) earbuds and bulky over-the-ear headphones! 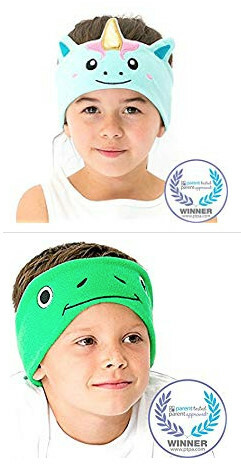 The comfort-fit headband is wide and lightweight for a secure fit, and is also a wonderful solution for children with sensory issues and special needs. CozyPhones are great for travel, as the ultra-thin 1/8″ speakers lay flat in the headband providing total comfort in the car and on airplanes. Another plus? The speakers are easy to remove making the headband completely washable! Phones has aligned itself with some of the top shows and brands in children’s entertainment which appeal to millions of fans including Paw Patrol (Chase, Marshall & Skye) – available now – with more favorites to come! All CozyPhones are compatible with Apple iPhone, iPad, iPod, Android, Samsung Galaxy, Blackberry, Nokia, LG, HTC, Google Nexus, Lenovo, Asus, Sony, Dell, Toshiba, HP, MP3, MP4 and other audio devices. Along with fabulous jewelry, 7 Charming Sisters has options for keeping jewelry and accessories organized. If you are going back to school this fall, here are a couple must-have items that are perfect for wearing to class or to the after school game! And if you aren’t going straight to the game after school, be sure to check out the Roll-Up Jewelry Organizer (in blue or black) to keep everything neat and tidy until you get there. Shine bright with this stunning floating crystal pendant necklace. 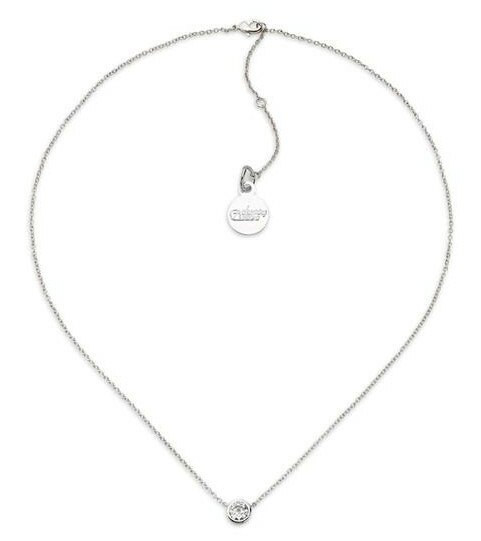 A sparkling crystal is suspended from a delicate yet sturdy silver cable chain. Dainty and sparkling, this is the perfect piece for on-the-go! Gold bar ring is simple, yet makes a powerful statement. For added style volume, wear multiples across your fingers. Can also be worn as a midi or knuckle ring. Available in sizes 5 and 6.25 only. Rose gold chain necklace is comprised of sections of chain strung through glass and rose gold donut beads. If you’re looking for a boring chain, you won’t find it here! The fishbone chain is one of the hottest runway trends and we LOVE it! It pairs seamlessly with day to day casual wear, evening wear… and perfect to wear those nights you will be celebrating! If you’ve been wearing earrings for long enough, you’ll no doubt have owned a pair of hoops. And if not, now’s your chance to go one better with some twisty hoops and loops! Perfect for daytime casual, or with jeans and a T-shirt! Keep your jewelry organized and tangle-free with our Roll it Up jewelry organizer. Each bag contains four zippered compartments and a removable bar for storing rings. Perfect for storing and protecting your jewelry or accessories while traveling. With 7 different lines of jewelry that represents each of Sisters’ unique styles.. No matter who you are or where the day takes you, 7 Charming Sisters has something perfect for you. With so many options to choose from, you won’t have to get caught wearing jewelry in the wrong team colors! And with these affordable prices you won’t be begging your parents for extra allowance. How to be an athlete full of energy? The easiest way to start is to make sure you have a healthy lunch! All over the world, people pack lunches every day to bring to school or to work. Lunch packing is like their daily sport in the kitchen. 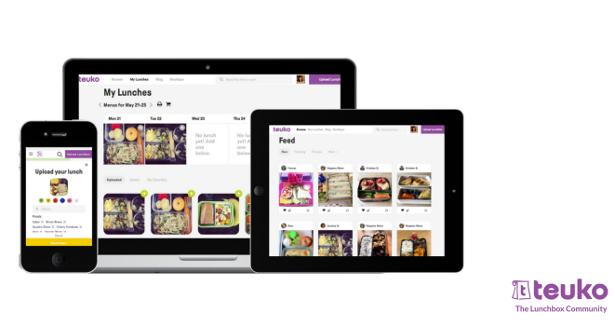 If, like most of them, you are starving for ideas, for motivation to try something new, and for strategies for easily turning ideas into lunches, Teuko, the FREE online community for lunchbox packers is for you! With Teuko, you get all the resources you need about lunch packing under one roof: lunchbox ideas, organizational tools, and a community of friends. Here at Teuko, we’re a passionate and committed team, unified by our mission to build the most engaged community of lunchbox packers in the world. Every day, we’re searching for new ways to inspire lunchbox packers and make the lunches they love even more fun. We believe that building an online community for lunchbox makers is an effective way to boost creativity, collaboration, and motivation week after week. LONDON, 9th August 2018 Yesterday, LeapFrog©, the leader in innovative learning toys for children, debuted an exciting update to its award-winning LeapStart™ Interactive Learning System. The new LeapStart™ 3D activity book system features an interactive holographic display and touch-and-talk games, creative challenges and problem-solving puzzles to deepen the learning experience through a combination of print, audio and video. 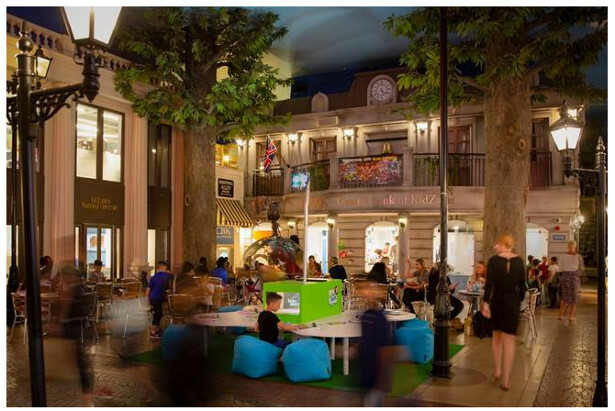 To celebrate the launch of LeapStart™ 3D, LeapFrog teamed up with children’s education entertainment experience KidZania London, to build a giant interactive hologram in the KidZania city, bringing the 3D element of the learning system even further to life. Delivering a magical experience that promises to enrich the school syllabus of 2-7 year olds outside of the classroom, all children who interacted with the hologram were gifted with additional KidZos (KidZania’s currency) to put towards obtaining their degree at KidZania National University. Developed to create a highly immersive play experience, the product provides the perfect balance of core and life skills to help prepare kids for the future, building a strong foundation for life-long learning. With LeapStart™ 3D, kids can learn to count, read, build problem-solving skills and more through fun replayable activities and 3D-like animations that reinforce the curriculum in an exciting new way, helping kids better understand learning concepts. The stylus reads invisible dots on every page, triggering questions, challenges, songs, jokes and more with accompanying 3D-like animations. Lelli Kelly Colourissima: a door into your little girl’s feelings. Colourissima is the first example of “interactive” school shoe because children can colour in the heart-shaped accessories. This is a way to spur creativity and at the same time – based on to the colours the little girl chooses – to provide parents with a simple and immediate indication of her mood and feelings. The new Lelli Kelly Colourissima school shoes are characterised by some colourable and interchangeable straps that little girls can colour in as they please, personalising an important object like their shoes. 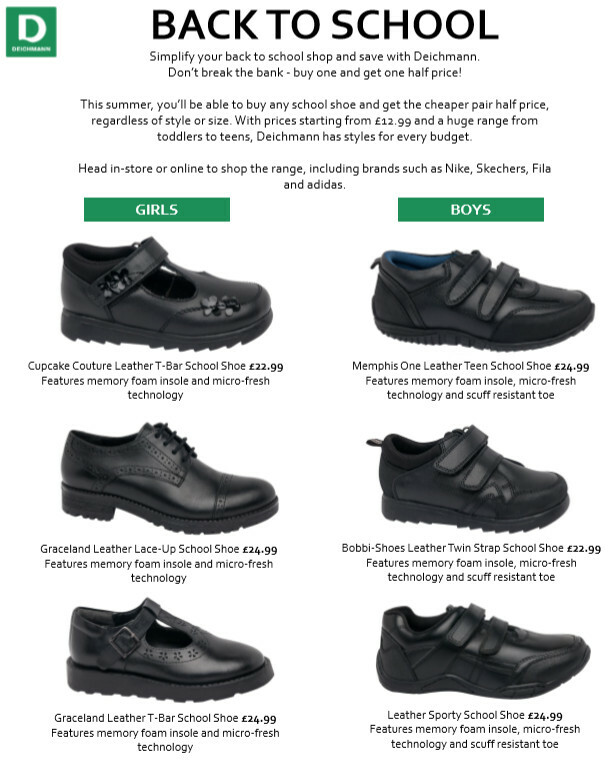 With every pair of Colourissima Lelli Kelly supplies other types of straps too, not intended to be coloured in but simple and black, making Colourissima ideal for any type of school request or for any formal occasion. Of course, as psychologists and graphologists teach, in order to have a complete indication of children’s feelings through colours, they must be part of drawings and interpreted in wider contexts. To improve Colourissima project, Lelli Kelly is also collaborating with the English psychologist Dr. Esther Burkitt, the Univeristy of Chichester and also with Candida Livatino, a renowned Italian graphologist, focusing on the meaning of colours for children. 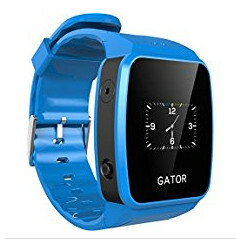 My Gator Watch – a wearable GPS tracker and mobile phone. – If a club or activity is cancelled, they can call you to pick them up. – Rechargeable battery which lasts up to four days at a time. For ages 5-12, available from Amazon and Techsixtyfour for £99. It is then operational via a monthly service plan of £9 a month. Late night Rugby practice or watching a game? Cook like a chef without all the fuss! Meet the easy to clean Sharp Superheated Countertop Oven, with instant on, no preheating or defrosting capabilities. With the combination of superheated steam and conventional, the powerful pizzeria-style oven will cook any 12” pizza or nine slices toast, in addition to its four other modes which include broiling and grilling (indoors)! Say hello to better and healthier cooking. SuperMe, your child’s guide to feel like a complete super hero, carrying the most adorable backpacks, cute lunch bags, pillow capes, travel accessories, personalized patches and super packs. The brand is the ultimate children’s brand that carries everything your child needs to be stylish, available for boys and girls. SuperMe was developed by designer Daphne Kaufer. The inspiration for SuperME came from her own children- Adam and Anna, who love dressing up and playing superheroes. Daphne wanted to create a line of functional superhero inspired products that are fun to play with and reflected the uniqueness of each child in a meaningful and sustainable way. Teenage skin is prone to breakouts which can really take its toll on self-esteem during those all-important years of school. 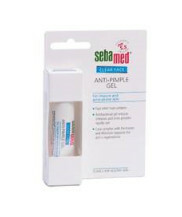 Sebamed Clear Face Anti-Pimple Gel inhibits the growth of acne causing bacteria and its moisturising agents protect against flaky patches once pimples, spots and blackheads have dried out. With the same pH 5.5 value as healthy skin, Sebamed Clear Face Anti-Pimple Gel supports and protects the natural barrier function of the skin’s acid mantle. For covering up every day blemishes while sporting a natural make-up look, the multi-award winning and iconic Lasting Perfection Concealer has a long-lasting formula that works to conceal flaws, imperfections and blemishes for up to 16 hours. The product is water-resistant and transfer-proof, creating a smooth complexion that lasts all day. For those busy school runs when the clock is ticking, Soft & Gentle 0% Aluminium roll-on works hard so you can be confident to tackle life’s little challenges. Clinically proven to offer 24 sweat protection, it contains a powerful trio of plant extracts, helping you to feel fresh and dry all day, with the confidence that it will be kind to your skin. Waking the kids up for the day is no mean feat which is why a fresh, zesty cleansing wash is just what you need for your morning shower. 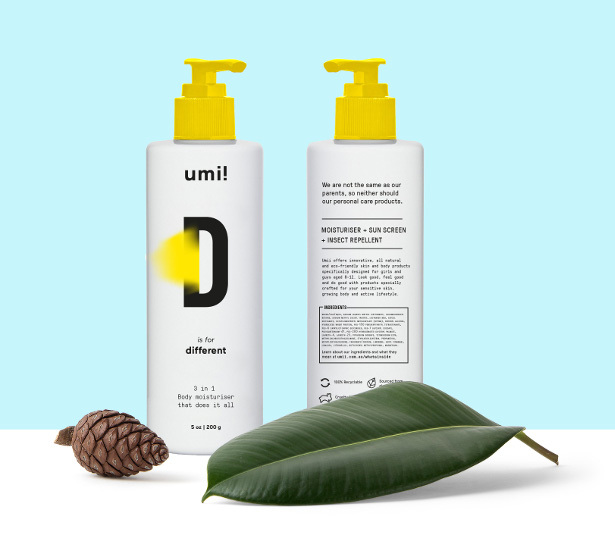 The creamy, natural body wash made with essential lemon oil leaves the skin feeling cleansed and moisturised and with its uplifting scent you will feel ready to take on the day! For those early morning starts, Manuka Doctor’s cooling eye gel gently smoothes and revitalises the delicate eye area, helping to visibly reduce puffiness and brighten dark circles. Containing a unique blend of natural ingredients, the eye gel refines the appearance of wrinkles, nurtures and restores skin’s softness. As your little one’s baby teeth push through in their first years of school, it’s time to look after those new and developing teeth and provide natural protection against cavities forming. With extracts of organic calendula flowers to keep gums healthy, silica for thorough cleaning and natural flavours of fennel and spearmint, it makes cleaning teeth a happy ritual. 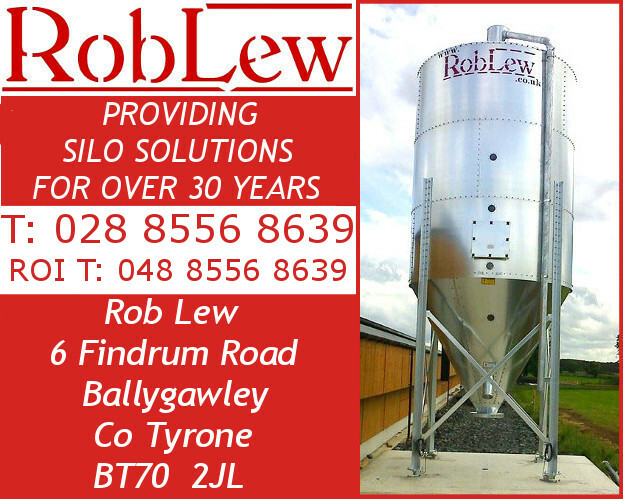 There are no ingredients which could cause harm if swallowed – no fluoride either. No matter how chaotic life is in your household, one thing is certain – your child is growing up fast and learning how to conquer the world without help. Although your child is getting more and more independent each day, their skin still needs extra protection during bath time which is why Weleda’s 2in1 Shampoo and Body Wash for kids is the perfect bath time accompaniment! Not only does this double-whammy defence spray keep children’s hair shiny and tangle free but the trusted Vosene Kids formula and added boost of citronella and tea tree oil aims to keep head lice at bay. Online platform, Teespring, has released limited edition backpacks from internet sensation and adorable animated YouTube character, Lucas the Spider. Lucas has amassed a sensational 2,234,574 subscribers and 127 million total views in its 9 months online. Lucas was created by Disney and Pixar animator Joshua Slice, in an attempt to conquer kids’ widespread fear of spiders. The team linked up with Teespring, the online platform, to release the internet’s best-selling plushies a few months ago. The plushie sold 40,000 units in 10 days during its pre-sale period. Equipped with padding for laptops and usually retailing for more, the backpacks are priced as a thank you to fans. Philip De Franco, US YouTuber with over 6 million subscribers, has also released limited edition backpacks via Teespring. 2018: Lucas the Spider is the brainchild of Joshua Slice, a Californian animator whose background includes work on Pixar and Disney’s Zootopia and Big Hero 6. He saw his creation rack up over 2 million followers and more than 100 million views in just six months. The items are sold via and supported by Teespring, the platform which allows independent sellers to design and sell their own creations. The site has seen more than 30 individuals become millionaires as a result of selling on Teespring. Launched in 2012, Teespring has become a leader and innovator in global e-commerce, creating new opportunities for both creators and consumers. The platform enables anyone to turn a creative idea into a successful product or brand, and offers consumers made-to-order merchandise with the same quality of a world-class retailer. 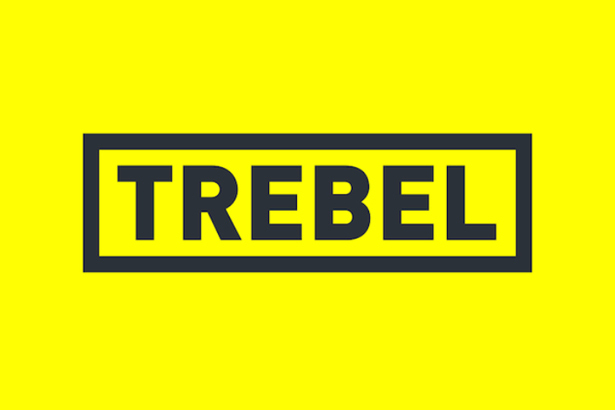 It was announced in June that Teespring is joining forces with YouTube. These global brands have come together to empower creators and support them in the diversification of their own revenue streams. With the current US digital creator merchandise market valued at $400 million and growing, the ability for YouTubers to sell merchandise directly below videos for the first time, is set to encourage huge growth. This partnership has been developed to provide a seamless point of sale for YouTube creators’ communities, which is simple to add to video pages on their YouTube channels. It demonstrates the dedication of both companies in providing YouTube creators with the opportunity to further their personal brands and businesses. Influential YouTube creators Phil DeFranco, Lucas the Spider and Alan Thrall have already taken advantage of the service. Results from early testing of the feature have already demonstrated the effectiveness of the new function. With an 82% success rate for YouTubers utilising the service, conversion rates for viewers purchasing merchandise are testing at 2.5 times higher than using standard description links. Early adopters of the service saw an average of 25% more units sold per user, through the merch shelf. Many children have trouble dealing with sibling rivalry and other conflicts. 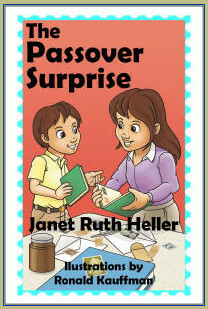 The Passover Surprise (Fictive Press, 2015, 2016) by Janet Ruth Heller will help children cope better with conflict and to resolve problems. The illustrator is Ronald Kauffman. You can order this book and access the cover at http://fictivepress.com/children-ya.htm#Passover The price is $10.33 for the paperback edition. The Passover Surprise is a great gift because it helps young people deal with sibling rivalry, favoritism, and family conflict. This middle-grade fiction chapter book takes place around 1960 and includes details about Jewish soldiers’ experiences during World War II and early stages of the Civil Rights Movement. The Passover Surprise (Fictive Press, 2016) also portrays a Jewish family celebrating Sabbath and Passover. Parents and teachers can use the Discussion Guide to discuss issues raised in this book, such as sibling rivalry, bullying, discrimination, and Jewish traditions, with their children and students. Here are some reviews of The Passover Surprise. A sweet period-piece that weaves the longing for a coveted prize, sibling rivalry, and a firm foundation in Jewish traditions and faith into an appealing and morally uplifting tale. A good look at a loving family dealing with the issues of fairness and sexism. –Shutta Crum, author of Thomas and the Dragon Queen, Dozens of Cousins, Spitting Image, and Thunder-Boomer! A nostalgic tale about a Passover past that evokes strong feelings of family and tradition. A warm, inviting read. The Passover Surprise is filled with wonder and hope, even in times of dreadful hardship and disappointment. Readers will root for Lisa and a happy holiday. Janet Heller taught English and American literature, composition, creative writing, linguistics, and women’s studies courses for 35 years at 8 colleges and universities. She has published six books. She has a Ph.D. in English Language and Literature from the University of Chicago. She is President of the Michigan College English Association. She has published three poetry books: Exodus (WordTech Editions, 2014), Folk Concert: Changing Times (Anaphora Literary Press, 2012), and Traffic Stop (Finishing Line Press, 2011). The University of Missouri Press published her scholarly book, Coleridge, Lamb, Hazlitt, and the Reader of Drama (1990). Fictive Press published her middle-grade fiction chapter book about sibling rivalry, The Passover Surprise (2015). Her children’s book about bullying, How the Moon Regained Her Shape (Arbordale, 2006; 4th edition 2016), has won four national awards. NEW Oral-B Disney ‘Incredibles 2’ Kids Electric Toothbrush and app activation suitable from age 3+ to encourage kids to brush their teeth with the correct technique, twice a day, for two minutes a time, featuring Disney’s ‘The Incredibles 2’ – latest film screening over this Back to School season. · Shocking nearly a third (31%) of 5-year-olds and nearly half (46%) of 8-year-olds in the UK have obvious tooth decay in their primary teeth. · Sadly, 35% of 12-year-old children are too embarrassed to smile or laugh due to tooth decay or missing teeth. These dental health issues come down to many factors. However, with the right support, they’re mostly preventable. Oral-B is on a mission to support UK parents adopt appropriate home-based oral health behaviours and thereby reduce the number of children with toothache and dental problems – through its #StrongTeethMakeStrongKids campaign. Please find summary of campaign below. Let us know if you would like more info. Leading dental expert, Dr Uchenna Okoye, has top tips for kids going back to school to help improve their oral care routine – let us know if you would like to see these or have any specific questions for her on oral care. Suitable from age 3+, the Oral-B Power Kids Electric Toothbrush, featuring fun and friendly Incredibles 2 Disney characters, puts the power of a great clean in little hands. Download the Disney Magic Timer App by Oral-B to help your kids brush for a dentist recommended 2 minutes with Disney’s NEW Incredibles characters to keep them motivated and learn proper oral care habits that will last a lifetime. 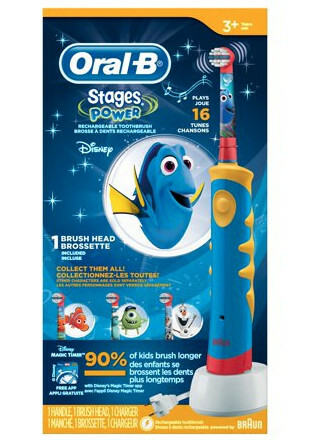 Brush and discover: As your child brushes their teeth they can reveal a secret image. The longer they brush, the more is revealed. Oral-B’s “Strong Teeth Make Strong Kids” programme aims to educate and support parents on how they can help their children develop the right habits, as well as lay down a strong foundation for good oral health – for a healthy and con dent smile for life. “We are working closely with the UK’s Dental Professionals by aiming to provide up to 20,000 dental professionals this year with simple and engaging educational materials for parents and their children during routine check-ups. Oral-B is committed to take on this challenge to sustainably improve the situation in the UK”, says Flora Kessler, Brand Manager for Oral-B in the UK. Combined with the right dental care products, these positive oral health messages are designed to encourage parents to lead the way, so they can see that these oral health issues are mostly preventable with simple changes to their families’ daily oral care routine. High quality, stylish watch that is worn on the finger. 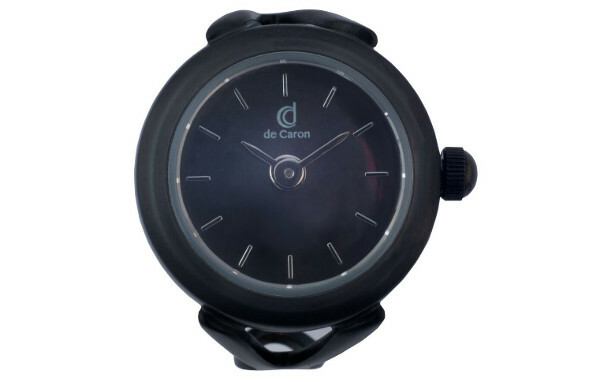 Internationally available on our online shop (www.de-caron.com) from £99 including complimentary shipping and gift wrapping. The ideal accessory for students seeking something bold yet refined to make a fashion statement. With eleven one of a kind designs ranging from gold, rose gold, silver, matte black, white and copper. This watch ring is a really unique but functional Back To School gift. 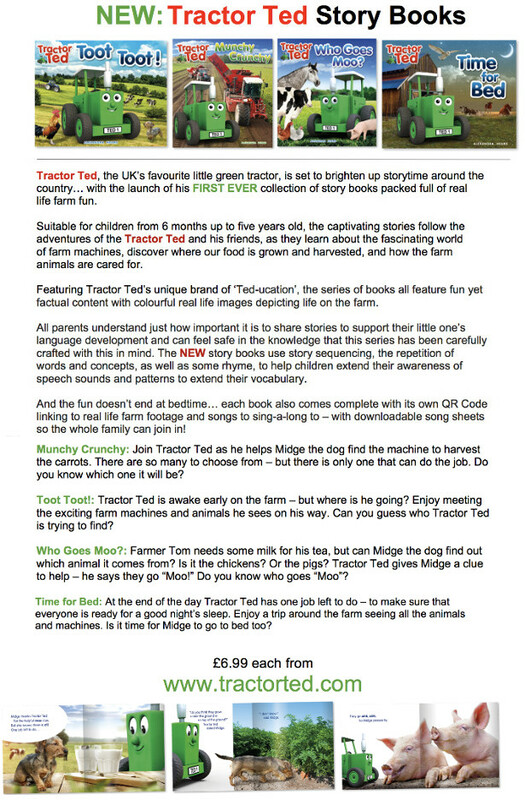 The Summer Holidays are in full swing and even with a few drops of rain here and there, nothing can stop a Tractor Ted picnic! 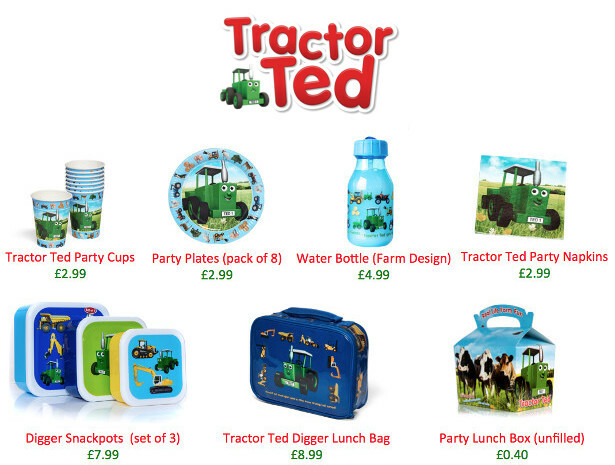 With a little help from everyone’s favourite little green tractor, get your little farmers dining al-fresco with a fun selection of products, featuring charming tractor and digger designs from TractorTed’s real life farm. From paper cups and plates for convenience, handy snack pots to keep your food fresh, water bottles, napkins and even cute lunch bags to carry everything in – all you need is a blanket and a sunny spot to have yourself a trac-terrific picnic! Zeek is a unique online marketplace for buying and selling unwanted gift cards and vouchers at great discounted rates. With hundreds of high-street retailers on board including Amazon, John Lewis and Ted Baker there are countless ways for people to make some extra cash from the unwanted £10 HMV Christmas voucher that Granny gave or make saving savings on their everyday purchases – especially when going back to uni/school – the possibilities to save are endless! 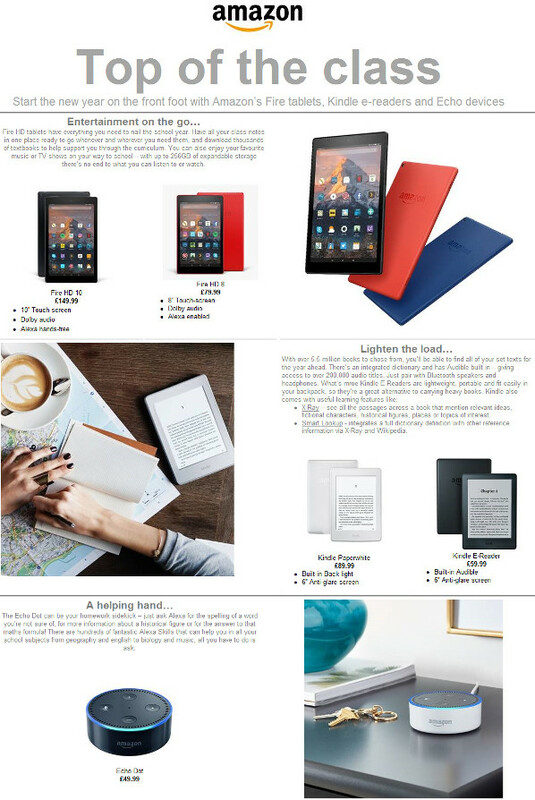 As well as this there are plenty of gift cards on there for holiday, travel, fashion and gadgets. Iconic British brands Silver Cross and Aston Martin are delighted to unveil a new world exclusive, the Silver Cross Reflex Aston Martin Edition. Striking to look at, with a supremely comfortable ride and handling, this premium pushchair combines the craftsmanship, engineering and luxury that is synonymous with both brands. The ultimate in pushchair luxury, the stroller features cutting-edge technology throughout, from the stunning black lightweight carbon fibre chassis, to the beautifully engineered wheels inspired by the Aston Martin DB11, and the chrome metal details. Only the most exclusive materials have been used, providing outstanding style and comfort. The high-performance woven fabrics are complemented by the black leather hand-stitched handles and bumper bar, while the seat liner is made from the most sumptuous Devon sheepskin. A second reversible seat liner is included, made from lightweight, high-performance breathable mesh and soft jersey. 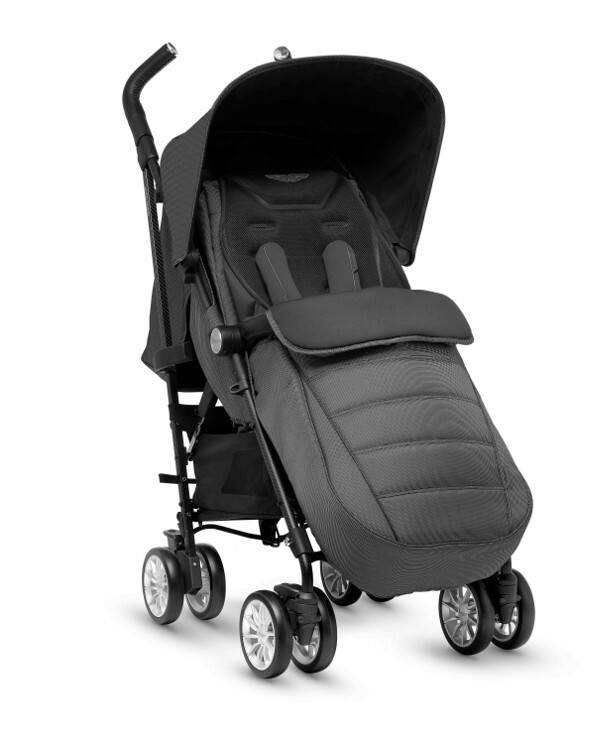 Suitable from birth to 25kg, the Reflex Aston Martin Edition features unique Baby Curve™ technology which creates a natural position for baby providing the ultimate in comfort. This ergonomic backrest is breathable with maximum airflow, ensuring a “first class ride for babies”. Compatible with the Silver Cross Simplicity car seat, the Reflex Aston Martin Edition provides parents with the flexibility of a lightweight travel system, with no compromise between practicality and style. Available now, the stroller is a much-anticipated continuation of the partnership between Silver Cross and Aston Martin, and joins the Surf Aston Martin Edition as a globally sought-after design classic. With the constant rise of college and the high $1.5 Student Loan Debt Crisis, it’s that much more critical for families to learn the college admissions process. The more knowledge they have, the more strategic they can be in positioning themselves for admittance and funding by a major college and university. PARENTS: Send Your Child to College is the goto tool that’s helped families garner over $4 Million in aid and minimum student loan debt. It outlines the process and what families should do from 8th grade to 12th grade. Attached is an image of the book and workbook, more can be found at http://www..crushcollegedebt.com/. Let’s set families up to win by sending their kids to college for free! Teenagers are accustomed to curating their personal image on social media. They select what to share, who to tag and how to display their interests and activities in a snapshot, or a few hash tags. The next step for Generation Z, those born after 1995, is to start curating their career. Whether preparing to apply for a competitive university programme or starting an entrepreneurial venture, there is great value in starting to think about how to express one’s professional interests from an early age. A report by brand management specialists, QWERTY found that nearly 70% of South Africans’ weekly activities are spent on social media channels. Growing up with the internet, Gen Zs have become accustomed to plugging hours into Facebook, Instagram and Snapchat. They’re great at capturing their personal image online; which brands they associate with and which moments they share. Applying some of this time and skill to thinking about their careers can be hugely beneficial for when they finish school. Teachers, parents and school counsellors also play an important role in encouraging students to explore exciting career and study opportunities; “With the right guidance and support, students can start a small business or launch a social initiative before they even matriculate. Doing so will help them refine their interests and ultimately select the best fit programme at university, regardless of whether they study locally or abroad,” says Parsons. A great university education, at an institution with leading research groups, lecturers and students from around the world can be a powerful starting point for future changemakers. According to Parsons, landing that opportunity is challenging, but not impossible, for driven South African students who apply their finely tuned social media curating skills to their careers. Crimson Education launched in South Africa earlier this year, making the company operational in 17 cities around the world. Parsons and his team regularly host information evenings for parents and learners interested in studying overseas and have recently introduced a career exploration service. For more information, visit www.crimsoneducation.org or email southafrica@crimsoneducation.org. 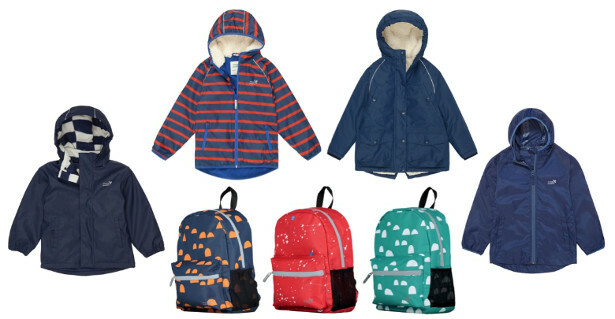 COOL, COLOURFUL & CLASSY KIDS COATS! Even in the throes of winter kids often don’t want to wear their coat! But fear not, because toddlers through to tweens will adore the new and super-stylish but totally functional AW18 coats from Muddy Puddles – and won’t want to take off! Inspired by the bright, fresh and powerful paintings by Hockney that capture the Yorkshire landscape through the seasons, the new AW18 Muddy Puddles collection is anything but boring! Brand new for AW18, a versatile and ultra warm Parka, perfect for winter walks to school or weekend play with friends. Fully waterproof and cosy with snug sherpa lining to the body and hood of the coat, and completed with reflective details and zip pulls made easy for little hands. Come rain or shine this winter, the planet friendly EcoSplash range made from recycled plastic bottles is fully waterproof, lightweight and totally gorgeous in two bold, fun colourways and prints! And, with a soft fleece lining little adventurers will stay warm and dry when school is out for the day. Not forgetting the classic Puddleflex range – ideal for those rainy and windy school mornings! With fleece lining and rib cuffs, this design will keep little adventurers dry and warm while they discover the outdoors. The ever popular high-tech performance Blizzard Jacket returns with funky new designs and colours – insulated up to -20C means it’s super snug. And, back by popular demand is the striking and iconic ‘Tootsa’ sunrise design – derived from a collaboration with the unisex British brand.